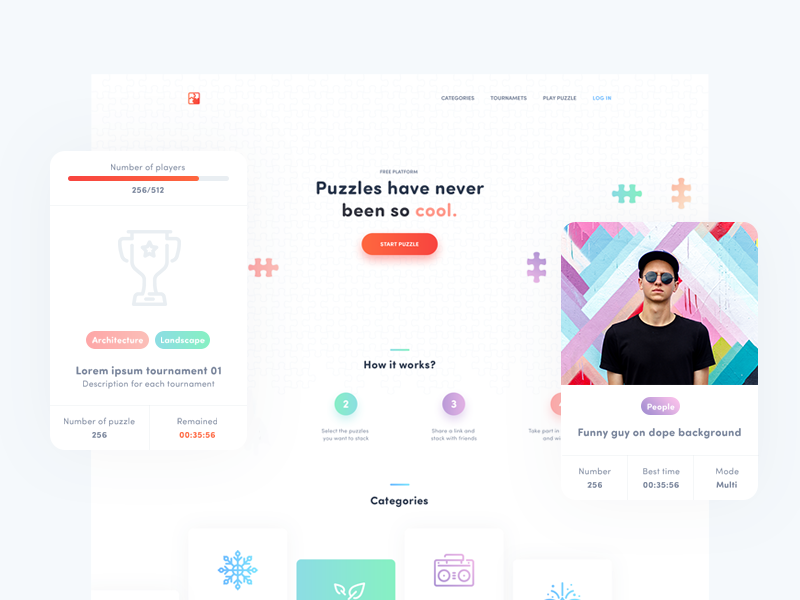 Newest project for my client, puzzle.co is about stacking puzzles on-line by yourself or with your friends. Create account, create room, choose template or upload your photo, share link and start puzzle! More information and screens comming soon! I’am available for new projects! Just send me message.